High traffic, clean manufacturing and temperature controlled areas are the best environments for industrial high-speed doors. Using high-speed or rapid roll doors can save you time and increase productivity as well as decrease your energy costs. There are multiple uses for high-speed doors in warehouses and distribution centers, food facilities and even pharmaceutical and biotechnology companies. 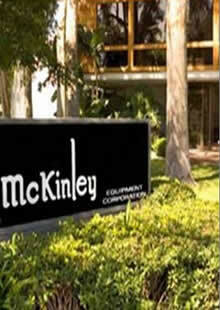 McKinley Equipment offers many leading manufacturers. Rytec Doors offers high-performance doors that are safe, fast and efficient. 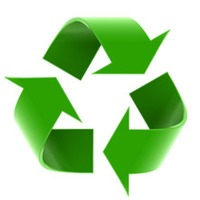 They create these products for the Aviation, Life Sciences and Manufacturing industries among others. ASI is a leading American manufacturer of high speed, high performance door systems for government service, commercial, refrigerated and clean environment markets. They create both fabric and rigid roll-up doors for various applications. Hormann Flexon is a manufacturer of roll-up doors used for multiple applications like food and beverage manufacturing and distribution, cold and clean storage in addition to automotive retail facilities. Our top quality line of high speed doors will increase traffic flow and boost productivity in your facility while minimizing energy costs. Many of our hi speed doors are to withstand wash down needs. We also sell and service high speed insulated doors for applications where maintaining temperature control between zones in your facility is crucial, such as in cold storage and freezer facilities. Contact a rapid roll door expert at McKinley Equipment today for all your hi speed door questions and service needs.